The Observer office chair has been specially designed for 24/7 use in e.g. control centres and control rooms. 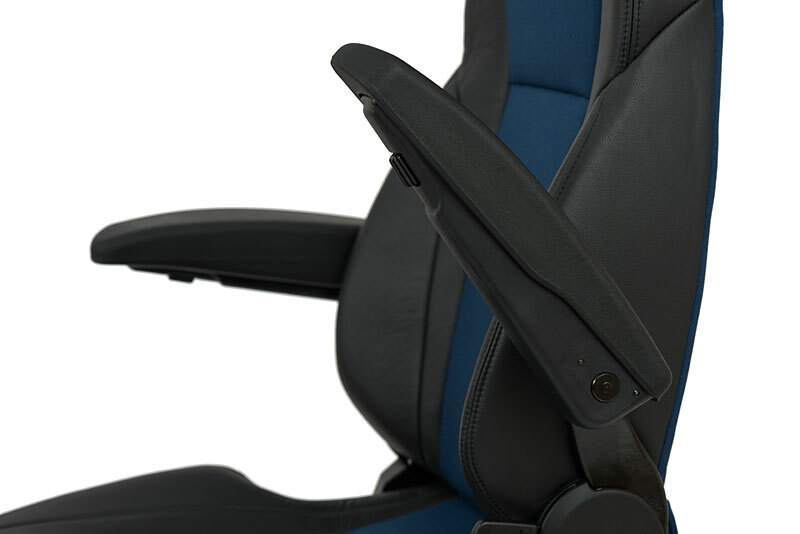 The chair can be using in fixed mode (3 possible positions) or permanently moveable swivelling mode. 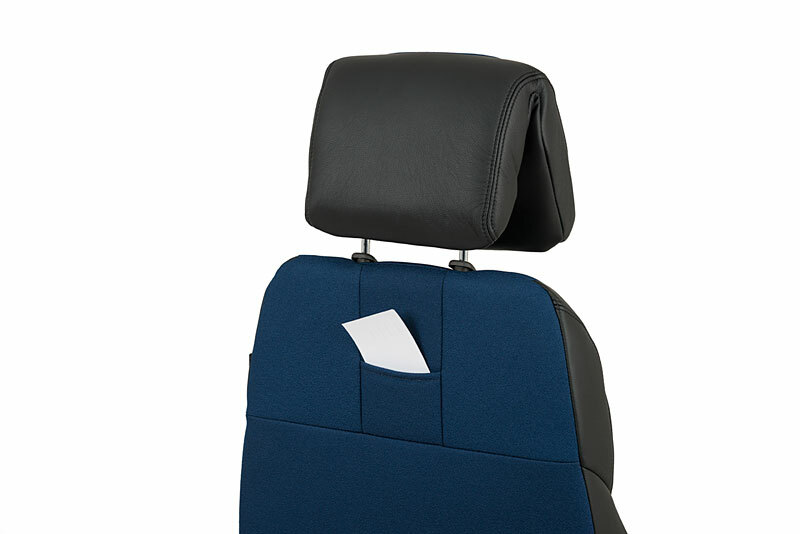 The mechanism of the Observer can be set to the weight of the respective user. 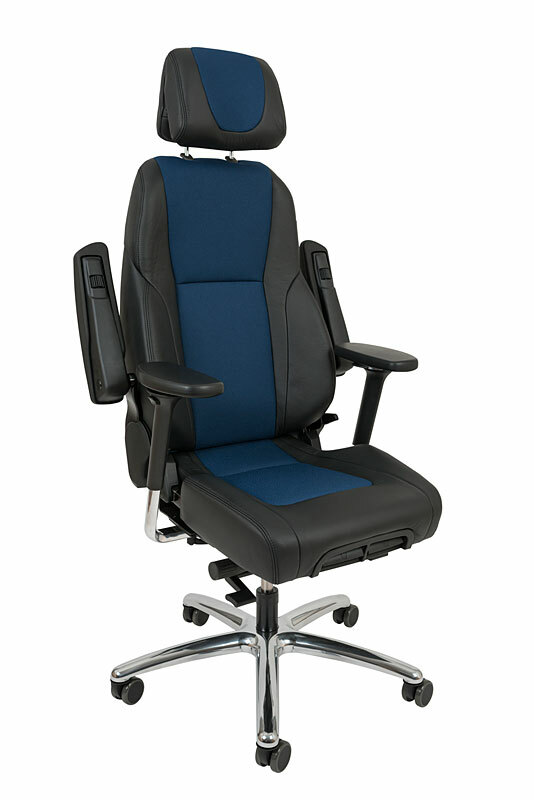 The correct setting allows correct seating and working and also prolongs the life of the chair. 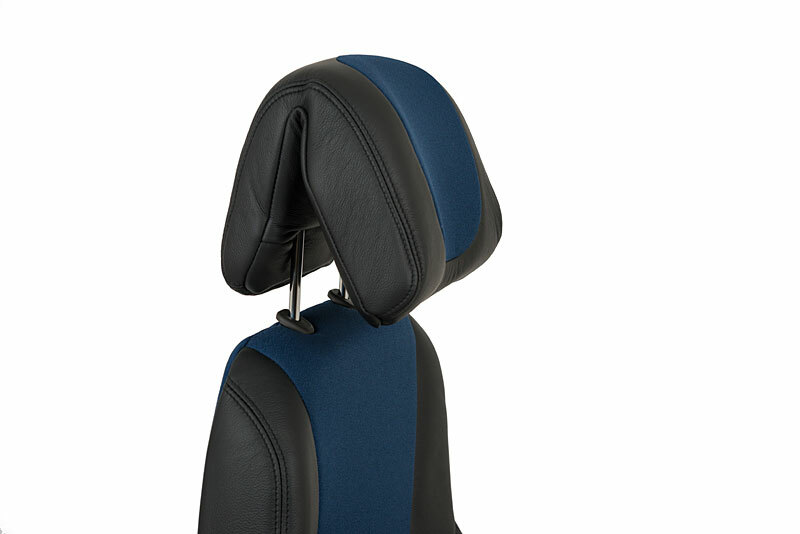 An inflatable pelvic support permits exact adjustment of the body support allowing strain-fee seating. 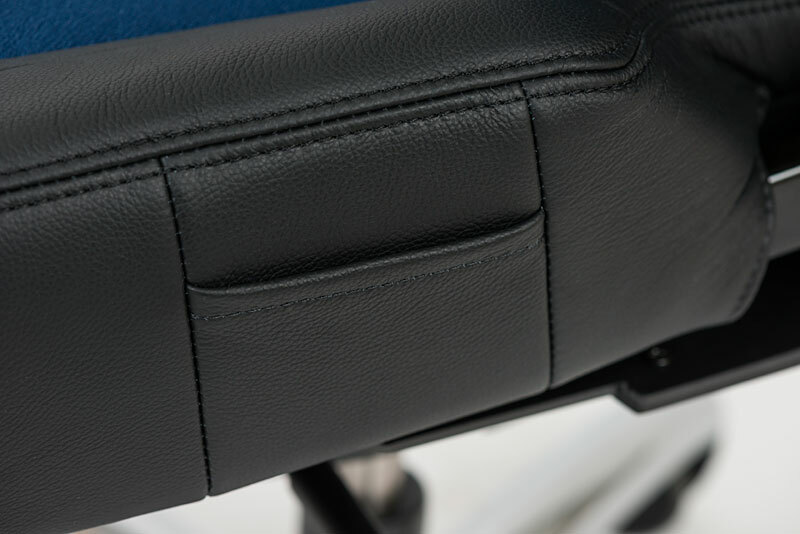 The inclination of the folding arm rests can be adjusted using a knob (hand wheel) underneath the arm rests. They can be folded away upwards. 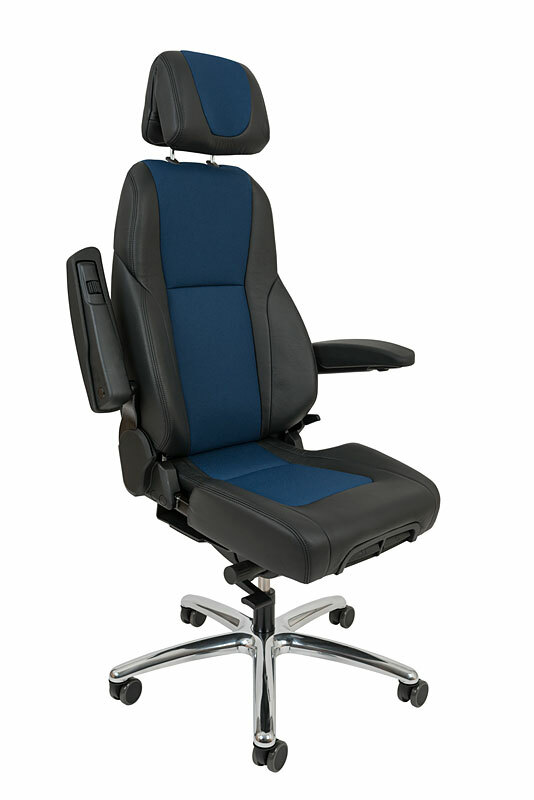 The angle of the backrest to the seating surface and its inclination are adjustable. 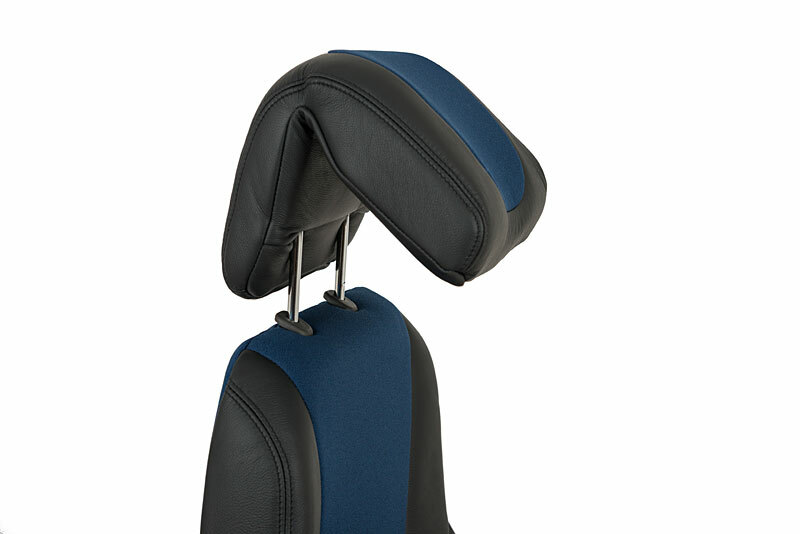 The 6-way comfort neck support allows for optimum adjustment of height and inclination and provides optimum head support. 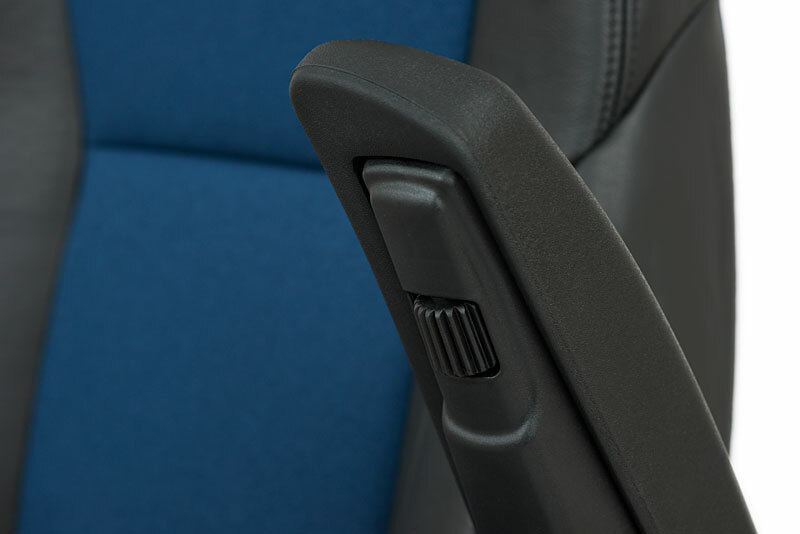 A handle allows length-adjustment of the seating area.